Each day people bravely step forward and identify themselves as victims and survivors of sexual assault and harassment, and are increasingly also identifying themselves as victims and survivors of other forms of gender-based violence, which can include human trafficking, street harassment, stalking and hyper-sexualization. How you can help prevent, reduce, and eliminate gender-based violence in your communities. 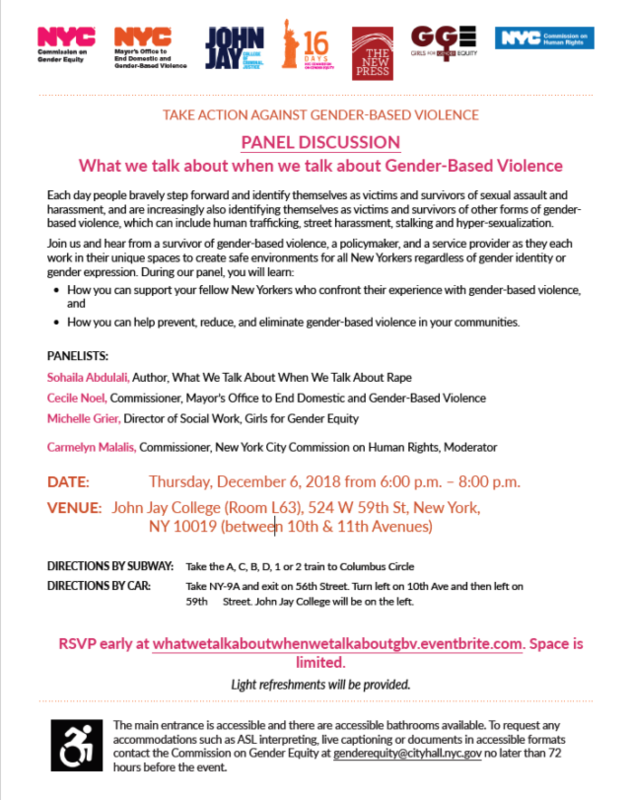 RSVP early at whatwetalkaboutwhenwetalkaboutgbv.eventbrite.com. Space is limited.